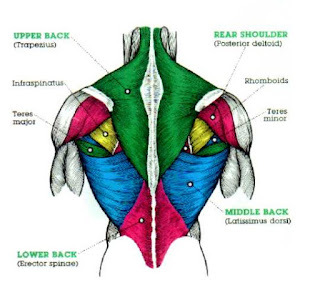 From The Bay To The Rockies: Where Are My Lats? Our Monday workout was calisthenics, everyone's favorite --NOT! :P We paired off and between the two of us, we did 600 reps of whatever combination of push-ups, pull-ups, dips, and slam ball that we decided on. While resting between exercises, I noticed Chris' back while she was doing her pull-ups. 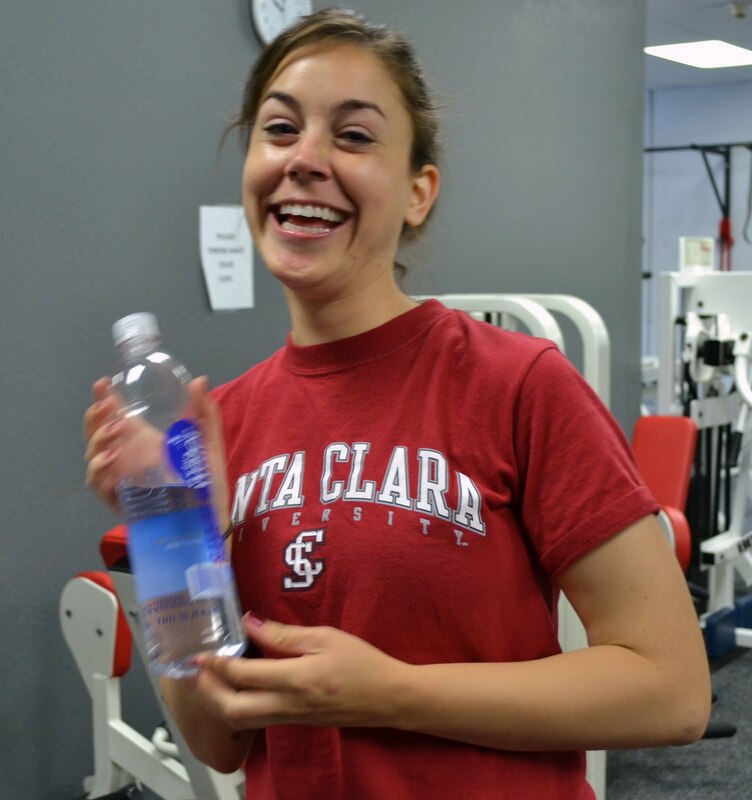 She's been changing her lifestyle - focusing on eating cleaner in addition to keeping up with her workout routine. 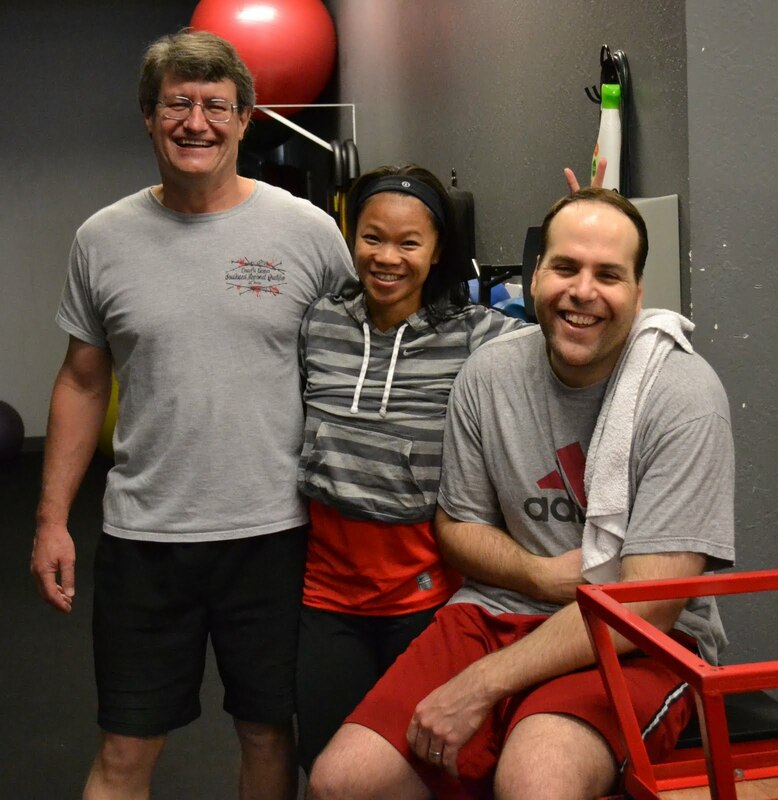 The results have been visible in her strength, endurance, and physique. 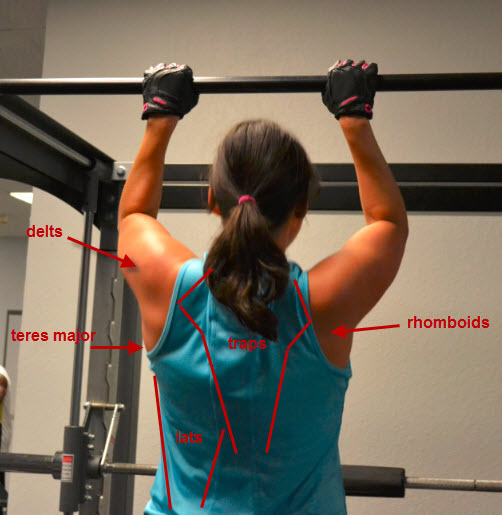 When I gave her kudos on her lats, she asked, "Where are my lats again?" So Chris, below is a quick diagram of your back muscles. The workout wasn't as difficult to get through as I had expected. We were all hurting from CrossFit Total the day before and pushed through. Push-ups were difficult for me to get through, so I racked up reps with dips.